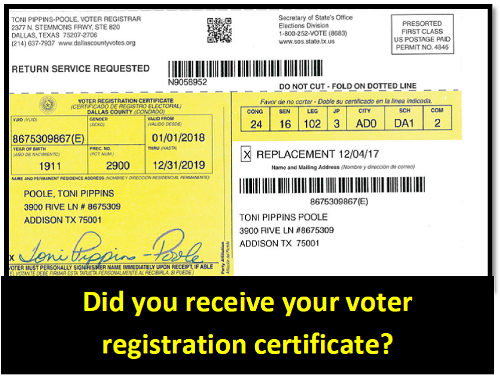 MAKE SURE YOUR VOTER INFORMATION IS UP TO DATE! If you have moved, changed apartments or your name, your voter information must be updated. Help us help you vote! Change your name or address online if your new address is in the same county in which you are currently registered. Send a letter requesting cancellation to the Voter Registration Office stating that the voter is deceased. Include the name of the voter, registration address and date of birth. Sign your name and record your relationship to the voter beside your name (i.e. husband, wife, son, daughter, etc).